Wednesday saw launch of the Blockpass Security Token and Compliance Meet Up series with the first London event being held at Cocoon Global. Between 6pm and 9pm, Blockpass team members, advisors and members of the community with various interests from different industries coming together to network and discuss these key areas. 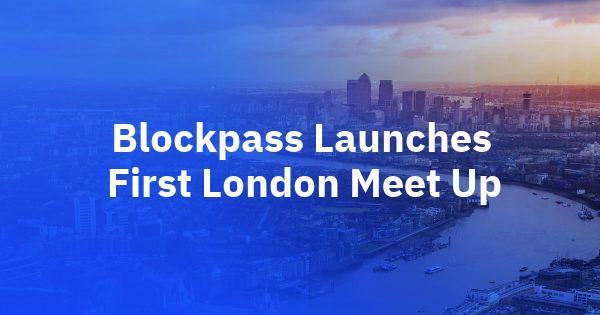 The evening saw talks and presentations from members of the Blockpass team and discussions amongst attendees and around a number of key topics. The meet up will be held near the beginning of each month in London, with a corresponding event in Hong Kong, also on a monthly basis (the first Hong Kong event takes place on the 21st of February). After an initial meet and greet period, the event kicked off with Guy Davies introducing the series and giving a brief overview of STOs and how Blockpass has reached this stage. Following this, Bianca Guimaraes-Chadick talked about the legal side of STOs, including how different jurisdictions may be tackling the subject. Next was a presentation from Dr Hans Lombardo who spoke on the Blockpass Security Token Offering Platform and the methods by which companies and individuals could benefit from it. Adam Vaziri then took to the stage to describe the Blockpass vision, answering insightful questions from the audience on a host of relevant topics. Finally, Matthew Warner gave a short presentation on the data breach reports that Blockpass is writing and the failures of traditional compliance. Besides the presentations, there was ample time for attendees to talk, ask questions, discuss possible developments while enjoying a drink. Conversation and discussion around a number of key topics was stimulating with a variety of different viewpoints and we hope to continue these in future events and meet ups. During this initial meet up, the presentations were all given by members of the Blockpass team; however, future meet ups will have guest presenters from partners, academics, and experts. We welcome guest speakers and invite people to contact us via email or social media if they wish to participate in such a manner or if they have questions or topics around they would like to see discussed. The next London meet up will be held on the 6th of March, although those able to attend events in Hong Kong on the 21st of February will be able to take part in the first Hong Kong Blockpass Security and Compliance Meet Up. In addition to the meet up events, two Blockpass Seminar: Security Tokens events are being held, one in Hong Kong on the 15th of March and one in London on the 24th of April, where the latest in the world of STOs will be discussed. See the Blockpass website event page for more details.